It is no secret: wearing a pair of heels is really difficult, especially if you are going to attend a special function where walking is needed. If you’re not used to wearing heels, you might just stare at your feet the whole time because you are terrified you are going to hit a bump in the road and find yourself face plant into the concrete. Wearing heels in the morning until the night may want you to feel that you just want to go home and throw your shoes in the garbage. However, some women still choose to wear heels. Not only does it make you more made up but it also makes you feel more authorized and formal. It also makes any woman stand up taller, look slimmer, and feel more confident. Heels can be a pain at times, but you will be surprised to see a woman who has taken them to new heights – literally! 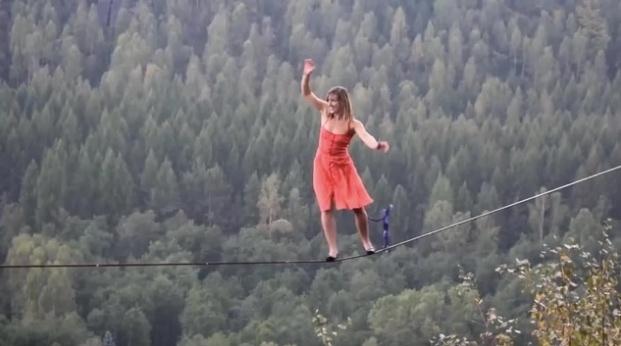 Professional Slackliner and daredevil Faith Dickey from Austin, Texas, fearlessly walked across a wire hundreds of feet in the air while wearing three-inch heels. She inched her way above a canyon wearing a pair of black pumps. Faith only had a slim cord attaching her to the line, just in case she tripped. You will be surprised to know that this is not Faith’s first time to walk across a wire wearing heels. 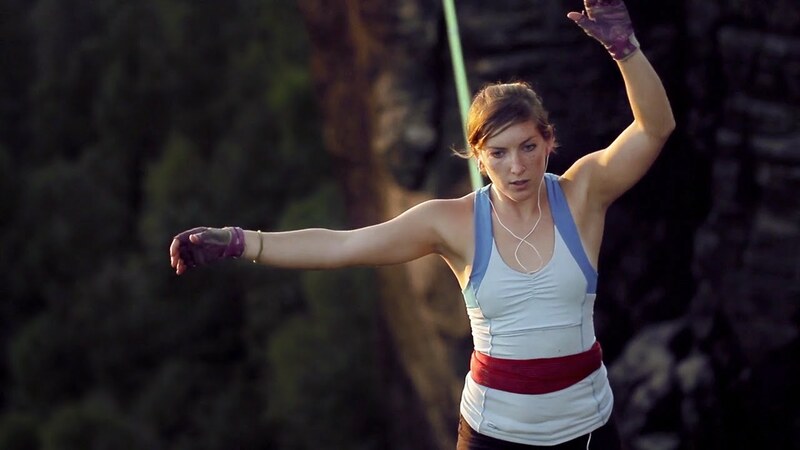 In January 2015, she also participated in the Women’s Highline Meeting in Ostrov, Czech Republic where she broke all previous female high lining records, including the highest free solo walk for a woman which measures 820 feet above the ground. She again tested her skills by crossing the Pera da Gávea in Rio de Janeiro, one of Brazil’s most famous highlines wearing a pair of bright pink kitten heels. People who saw Faith crossing the thin cords with her choice of shoes have nothing to say but admiration and surprise. I have never seen anything like it before – I’ve taken photos of highliners, but one wearing a pair of heels is completely different. Faith is very experienced at highlining, but even so, she had to be extremely careful in her heels. 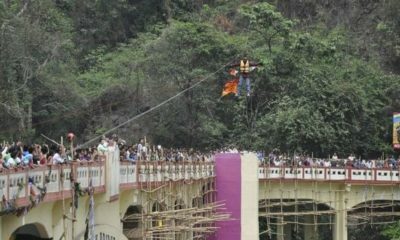 The daredevil is the first woman to pass the 100-meter mark in highlining. She also holds several world records in the sports of slackening. Do you think you can do whatever Faith is doing? Are you brave enough to dare yourself to cross a thin wire up in the air? Because for us, we surely can’t! We’ll leave it to the professionals.